Amidst a wave of Chinese import scares, ranging from toxic toys to tainted pet food, reports of contaminated drywall from that country have been popping up across the American Southeast. Chinese companies use unrefined “fly ash,” a coal residue found in smokestacks in coal-fired power plants in their manufacturing process. Fly ash contains strontium sulfide, a toxic substance commonly found in fireworks. In hot and wet environments, this substance can off-gas into hydrogen sulfide, carbon disulphide, and carbonyl sulfide and contaminate a home’s air supply. 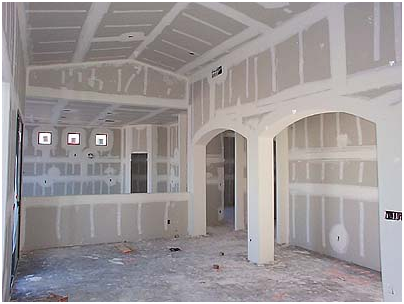 The Florida Department of Health recently tested drywall from three Chinese manufacturers and a domestic sample and published their findings. They found “a distinct difference in drywall that was manufactured in the United States and those that were manufactured in China.” The Chinese samples contained traces of strontium sulfide and emitted a sulfur odor when exposed to moisture and intense heat, while the American sample did not. Posted on May 15, 2012, in Inspections and tagged Buy a Home, Certified Drywall Inspector, Chinese Drywall, Comprehensive Building Consultants, Contaminated Drywall, Florida Department of Health, Hurricane Katrina, Inspections, Inspector Gadget, Knauf Gips, Knauf Plasterboard Tianjin, NACHI, Russ Hensel, Sulfur Odor, SWFL Real Estate, Taishan Gypsum, Toxic Drywall. Bookmark the permalink. 3 Comments. Thanks for the information regarding this article. It’s our pleasure! Thanks for reading!